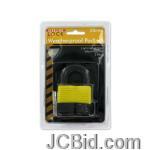 Ideal for garages or gates, this laminated weatherproof padlock is great for outdoor use. Lock is made of laminated steel, is weatherproof and comes with 3 keys. 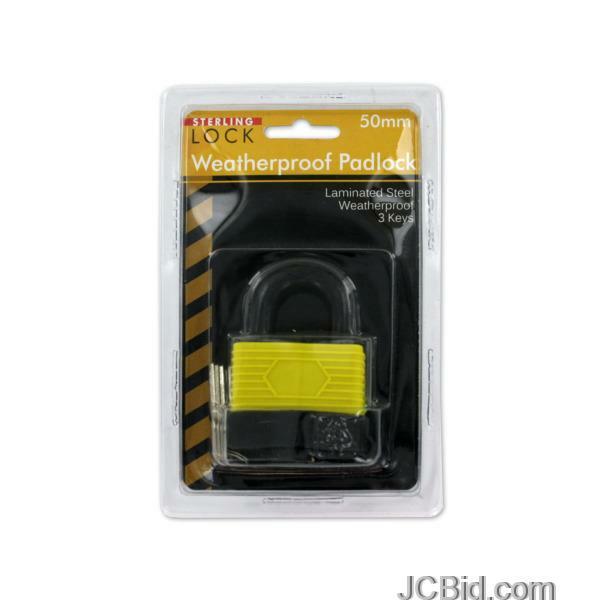 Features a snap-on cap over key insertion area for protection. Measures approximately 2 1/2" x 3 1/2". Comes packaged in a clam shell.